Many are considering India’s New Zealand tour as the perfect challenge to test India’s credence for lifting the World Cup trophy this year. And if the result of the first match is anything to go by India will certainly be the team to beat. As a crowd of over seven thousand kiwi supporters appeared for what promised to be an action packed encounter, they were let down by their team as the Kiwis crumbled at a mere 157 in 38 overs. This was supposed to be the best batting line-up the Kiwis have had in recent times. Their shocking downfall was not the only surprising element of this match. The match had to be stayed for a while as the sun was setting at an awkward angle in such a way that it obscured the batsmen’s vision. This series will be a very good indicator for the Indian team of their chances of winning the World Cup and they couldn’t have hoped for a better start. 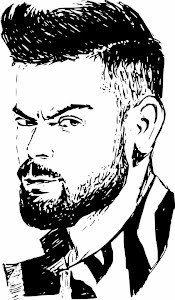 The Kiwis bowling was not very good either as Dhawan and Kohli took advantage of every bad ball. The two batsmen also rotated strike between them very effectively. Dhawan scored 75 runs and reached a milestone in his career. He is now the second fastest Indian to have scored five thousand runs. When the squad was announced for this tour the Kiwis had, at least on paper, a very strong batting line-up. The selection was done keeping the World Cup in view. The Black Caps will have to score a lot of runs if they are to beat elite teams like India. But their batsmen didn’t come through and Coach Gary Stead will be having second thoughts about the selection. India on the other hand looked every bit like the champions. They produced an impressive all-round display of cricket. There was no sign of complacency in them despite easy target. Before today’s match the odds were pretty balanced given the strong squads both sides had assembled. But now India will be the favourites to win this series and surely the bookie’s favourite too. At such a stage where India can certainly beat the Kiwis in the next match you wouldn’t want to miss out on these lucrative bonus bets offered by one of the leading aggregators. Additionally free bets and expert betting tips are also on offer. Kuldeep Yadav’s 4 wickets for 39 runs was nothing less of spectacular but Mohammed Shami was absolutely oozing class in the first match. His marvellous performance set the tone for what came next. The Indian pacer was a constant threat to the Kiwis stumps and other bowlers inspired by Shami followed suit as well. Shami picked up 3 wickets while giving away just 19 runs.